We have a large selection of custom leather upholstery to choose from. Leather is excellent for custom leather motorcycle seats, elegant leather auto interior inlays, custom truck inlays, or any other custom upholstery work that needs to look professional. 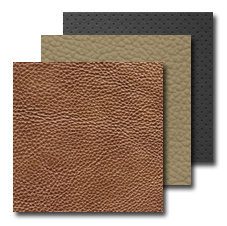 We have a large selection of vinyl upholstery to choose from. In our shop vinyl is used mostly for durable upholstery projects such as boat upholstery and golf cart upholstery. Please contact us with questions about specific vinyl colors or patterns. There are many types of foams to choose from. 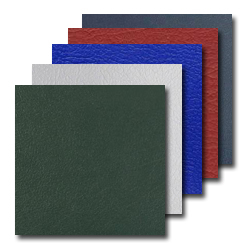 Each type of foam has its own softness and reaction allowing for both hard and soft surfaces.